This mod is a recreation of Terrafirmacraft designed to work well with other mods. It adds a more immersive way to make charcoal, coke and pottery as well as an early game ore processing mechanic. By breaking tall grass with a hoe you can get Straw. It can be used for the kiln or as a building material by crafting into Thatch. Due to the way double tall grass is coded you only get Straw from it if you break the bottom block. 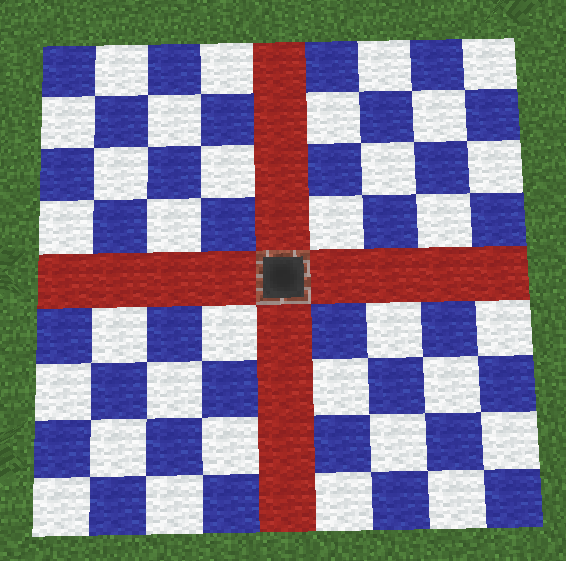 Tip: the Quark mod makes hoes break blocks in a 3x3. 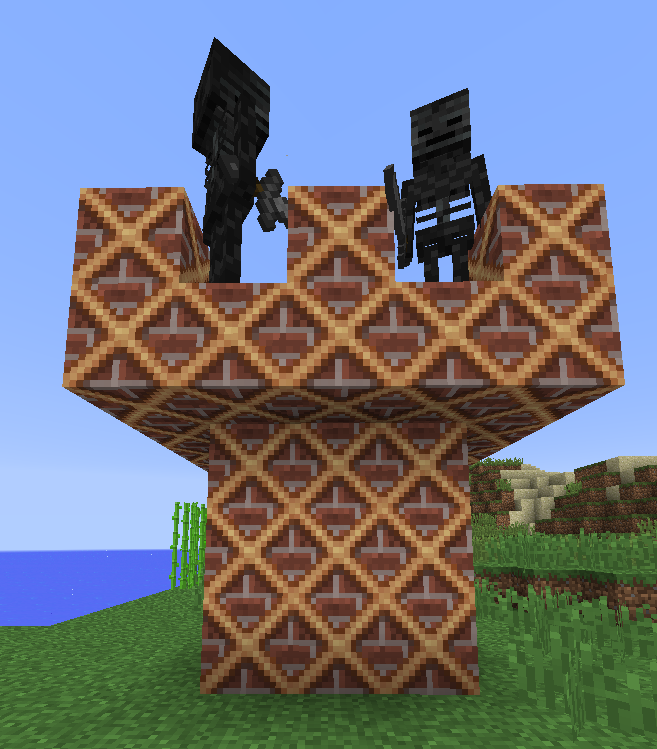 Bronze Reinforced Bricks are a tough, creeper proof material that can be crafted with Brick Blocks and Bronze Ingots. It can be used to make the Coke Oven and Bloomery creeper proof. The Charcoal Pit is shape-less multiblock that allows Log Piles to be turned into charcoal. 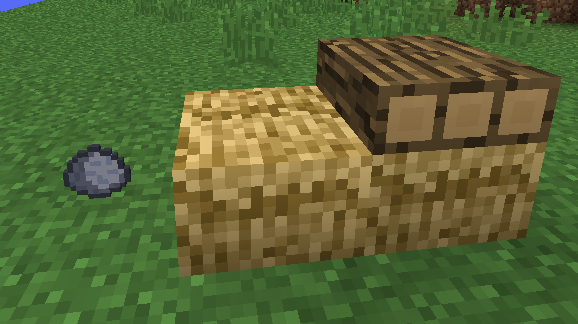 To make it just place your Log Piles into a contiguous shape and cover every exposed space with a solid* block. The Coke Oven works similar to the Charcoal Pit. The main differences are that instead of Log Piles it uses Coal Blocks and the blocks used as covering must be specific refractory blocks**. The Coke Oven will turn coal into coal coke at a ratio of ~9:6. Fortune helps. The processing time is also longer, at 36 MC hours. Coal Coke is an upgraded version of coal made from the Coke Oven. It burns for twice as long. Coke Cola is an upgraded version of the Potion of Speed. This fizzy drink is made by adding Coal Coke to a Potion of Speed in a brewing Stand. It gives a speed effect 1 level higher than its predecessor. To improve the yield of the Charcoal Pit and Coke Oven, a Creosote Funnel can be used to drain Creosote Oil from beneath the structure. The funnel has a 9x9 "+" shaped range. A line of them works best. While a bucket can be used to collect the Creosote, a mod with pipes and tanks is recommended to make use of it. Creosote Oil can be used as fuel, smelting 24 items. The Kiln is used to fire clay into pottery such as bricks, terracotta and ceramic vessels. Unlike the Charcoal Pit or Coke Oven the Kiln is a horizontal 2D structure that also connects diagonally. All blocks but the top bust be covered by solid* blocks, similar to the Charcoal Pit. The Kiln will break if the bottom block is destroyed. The top must remain clear as fire must be able to burn on top. To create it Shift Right Click a valid ingredient on the top of a solid block. Up to 8 items can be fired at a time. Then cover the clay with Straw and Logs. To light it just set the top of one on fire. After 8 MC hours the fire will go out revealing an Ash-looking block. Note that rain will put out the Kiln. The Ceramic Vessel is an early game equivalent of a Shulker Box. It has 9 slots and will keep its inventory when broken. It can be died any of the 16 colors of hardened clay, however once dyed it cannot be dyed again. It will keep its contents trough the dyeing recipe. 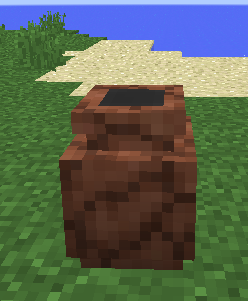 The unfired Clay Vessel can also be used to smelt ores. It cannot smelt high level ores like Iron*** but can be used to make Bronze. To use it place it on the ground and fill its inventory with up to 8 ores and the necessary fuel. The tooltip will tell you the result of the ingredients used. If the result is invalid the clay vessel cannot be fired. 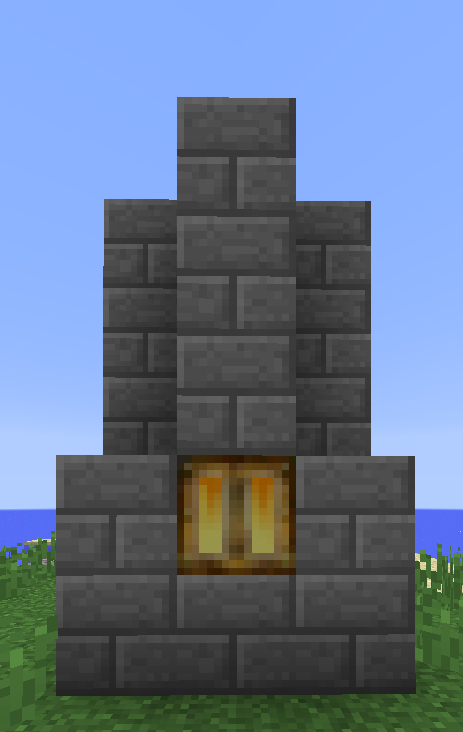 Only ores require fuel as the Kiln contains enough fuel to smelt ingots. Using the Clay Vessel to smelt ores will break it so you will need to craft a new one for another batch. 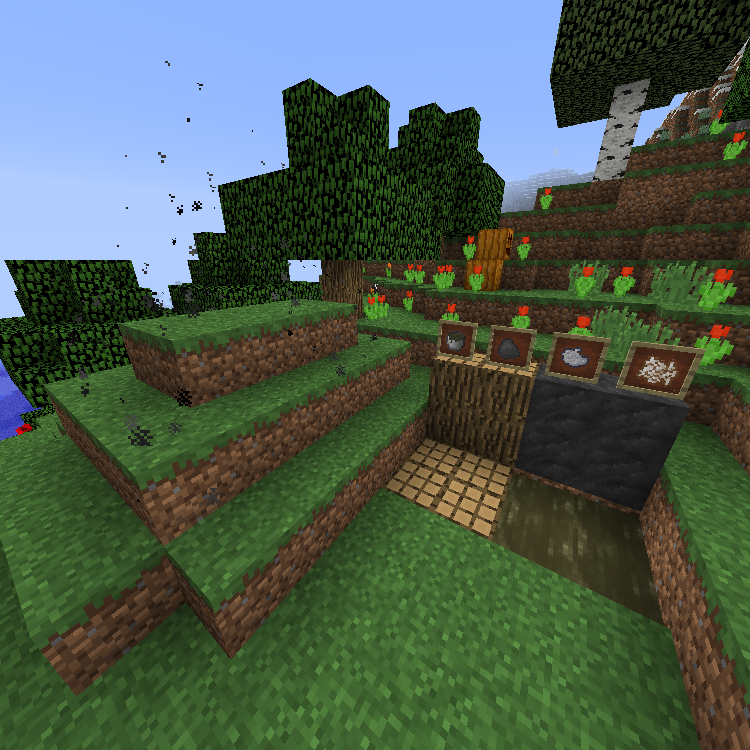 To smelt higher level ores like Iron you will need the Bloomery. The create it start by crafting the Harch with 3 Bronze Blocks*** in a vertical position. Then build a chimney between 2 and 4 blocks tall and place the Hatch at the bottom. The Chimney must be built out of stone-like or brick-like blocks****. 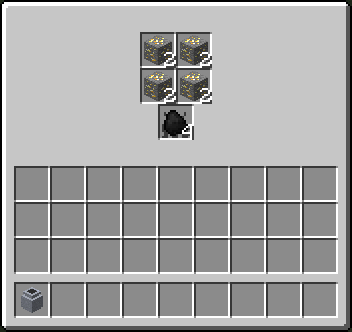 Up to 32 ores can be smelted at a time. To use It drop the ores and fuel into the chimney, close the Hatch and light it by lighting a fire in front of the Hatch. You can Shift Right Click the Hatch with an empty hand to see the status tooltip. After 15 MC hours the Bloomery will complete leaving a Bloom at the bottom of the chimney. 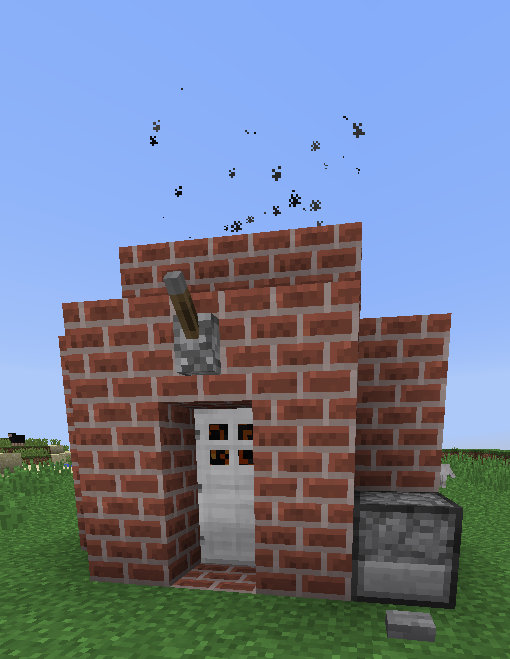 Unlike the Ore Kiln, the Bloomery will require fuel to smelt ingots. *usePrefic:boolean-if true the oredict values of the recipe will have the prefixes ore/ingot/dust applied. 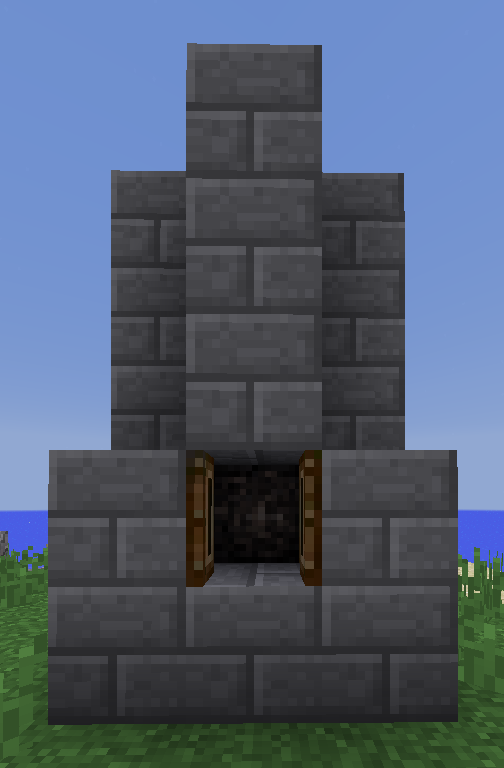 this allows ores, ingots and dust to be mixed as well as only using one recipe. *Solid means a torch can be placed on the side facing the structure. Glass is not a solid block. 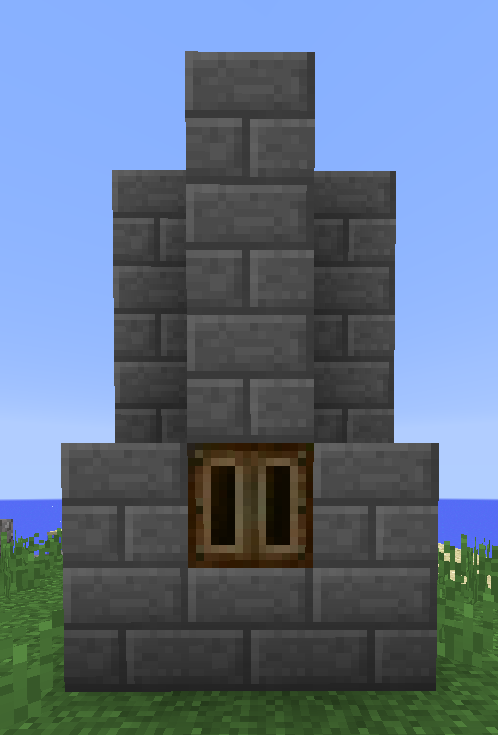 Iron doors and trap doors will work despite not being solid, as long as they are touching the structure. **By default the refractory blocks are: Brick, (Red)Nether Brick, Obsidian, Bronze Reinforced Brick and Iron (Trap)Doors. Note that the Creosote Funnel also must be made of one of them. I've been playing with this mod for a few days and I have run into a persistent problem. When I smelt ores in the bloomery and break the resulting smelted block I get the ores out, however all the recipes break and I'm unable to craft anything without fully restarting Minecraft, which fixes the problem until I smelt more ores. Additionally if two bloomeries finish smelting and I break the smelted block of the first bloomery I get the ingots out, but breaking the smelted block in the second bloomery then returns only slag, and no ores. I've left the config default and have reviewed it to confirm there is no issue. I originally had the issue with a collection of over 50 mods, but have since replicated the issue using only the mods required to run charcoal pit (BaseMetals, ModernMetals, Orespawn, JEI, and CraftTweaker) hopefully ruling out conflict between mods. I am running the latest recommended version of Forge for 1.12.2 (14.23.5.2768), the latest version of CharcoalPit and have replicated the issue with the two latest releases of CraftTweaker as well. Let me know if you have any ideas, or if there is a place I can submit a full issue. I do really enjoy using this mod, it's something I've been looking for a while. Thank You! I second this. Charcoal Pit and Better With Mods would work so, so well together but in terms of ores and how they're processed they clash badly. yes the link is on the bottom of the page. cant you disable the collectors instead? Could support for tinkers construct mattocks be added for gathering straw? I'm trying to only use TC tools, but to get straw I have to use vanilla hoes. Maybe. Until then theres a mod for custom block drops. I tried to make it so that a kiln gives me primal ash when finished, but it still gives me charcoal pit ash. Am I missing something? it needs to be oredicted as dustAsh(or maybe itemAsh) to be valid. im not sure why i set it that way. i will update the mod eventually. I don't seem to be able to light the coke oven through an opened iron door. Do you have to break and place the outer blocks in order to light/seal it properly? I could see a piston door working, but it seems like that wouldn't be the main solution. Is there a crafttweaker command to remove alloy recipes? I'm using geolosys and have furnace recipes disabled, but it still lets me process copper ore in clay vessels (i want to override this recipe so i can provide less output instead). Just got some time to try it out, but it doesn't seem to properly remove them, or maybe a conflict with geolosys? Or maybe i'm doing something wrong heh. My script seems fine, even when im just trying to use "mods.charcoalpit.flushAlloyRecipes();" (no syntax/ct errors). I dont know why it would not work. It should flush even with the game open. 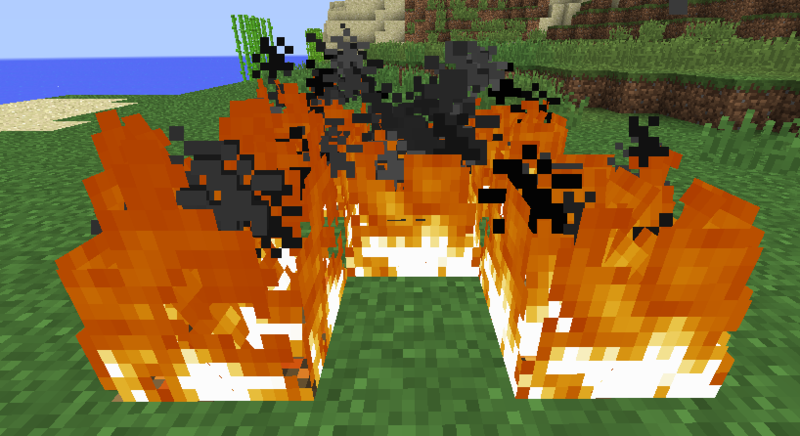 have you imported mods.charcoalpit? does the file run? Sorry for the late reply. But yeah the script is being executed and i did import mods.charcoalpit. i updated the github so you can try to debug it.i dont know whats the problem. i just make a new array list. If you flush after you add the new recipe is it still there? Thanks, will download it and try to debug a bit. Just looking at it though, do you know when the zenmethods are being executed? Is it possible that they run before init, before your OreSmeltingRecipes.initSmeltingRecipes();? Adding recipes would still work, but the removal through zenmethod might happen before it adds the default recipes.